Hasami Porcelain = clean lines, multi-functional, material & texture, japan made. Hasami Porcelain, one of Japan's best kept secrets, has finally found his way to Ghent. 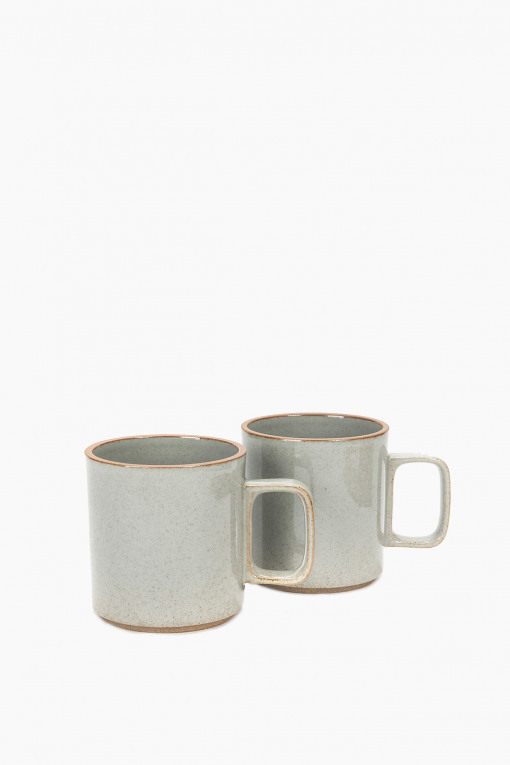 The choice of material - a mix of porcelain & clay - makes a gentle, matte touch, soft to the lips. The simplicity of the straight lines represent the Japanese aesthetics & way of life. One shape & fixed sizes make the products stackable and useable for different purposes. Put a lid on a bowl, a plate on a tray, make a bowl a plate, a lid a tray, a cup a mug.